Product prices and availability are accurate as of 2019-04-21 05:35:49 UTC and are subject to change. Any price and availability information displayed on http://www.amazon.co.uk/ at the time of purchase will apply to the purchase of this product. A 'hands on' teaching resource for children learning the time elements of the primary school numeracy curriculum. Double sided teaching resource featuring analogue clock faces with independently moveable hour and minute hands on both sides. The clock face shows 'minutes past and to the hour' on one side and '12 and 24 hour time' on the other. 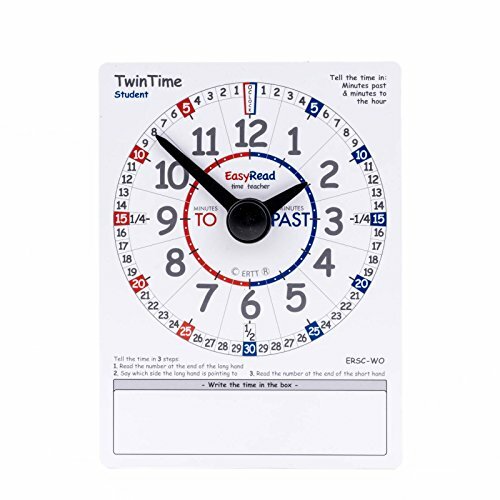 15 x 20 cm, made from high gloss write on wipe off PVC sheet, each side has a space below the clock to write the time displayed on the clock. Simple teaching systems: 2 steps to learn '12 and 24-hour' time; 3 steps to learn 'minutes past and to the hour'. 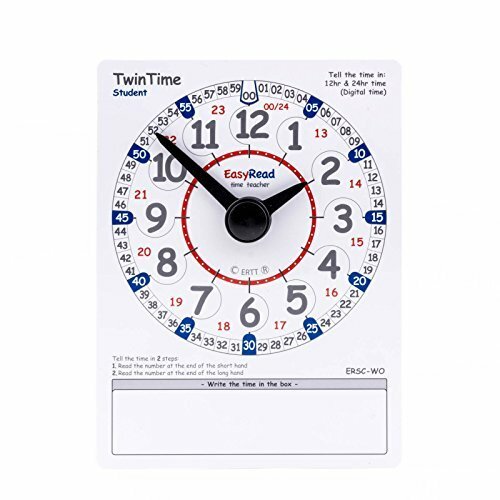 Displays all the information children need to learn to tell the time on analogue clocks. 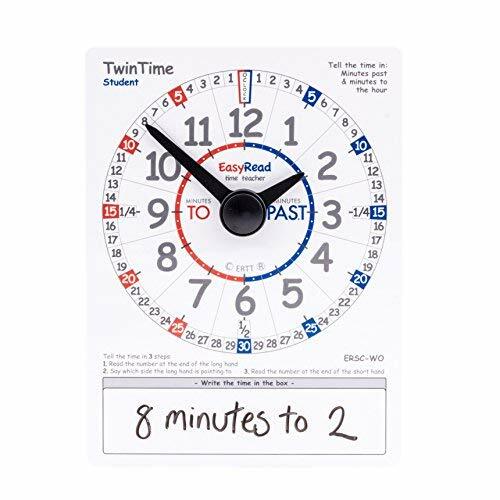 Useful for counting forwards and backwards from 30; for learning fractions; and counting in 5s and 10s. A 'hands on' learning resource for children learning to tell the time Double sided write on wipe off PVC clock card with hands on both sides One side shows 'minutes past and to the hour' and the other side shows '12 and 24 hour time' Can be used to practice setting the time on the clock face and writing the time underneath Twin Time Student Edition!